Thank you for visiting Seattle Astrology USA. 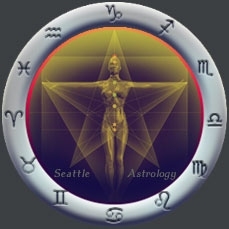 We are located in Seattle, Washington and offer you an exciting new and advanced approach to astrology. It's easy to check Steven Shroyer's schedule and make and appointment to have your astrology chart professional read. Check prices, availability, and which reading is best for you. Have you ever wondered what your life would be like if you knew exactly what your life purpose was? Knowing your life purpose is more important than knowing your future. With purpose and meaning you can create the future that you want! One of the most cherished gifts you can receive is the gift of understanding the significance and meaning of your life experiences. Good or Bad, if you know "why" then you have can have both purpose and freedom supporting your future. Every person has a special and complex purpose that nourishes their soul. You're unique, and Steven offers different types of readings to address your personal and unique situation. Astrology is about unraveling the mystery of who you are, how you arrived here, and the best way to embrace the quality of relationships which are necessary for moving forward in your life. Join Steven for a personal reading to discover your highest potential and what you need from life to become all you can be. A Complete List of Readings: Complete Astrology Reading, Relationship Reading, Solar Return & Birthday Reading, Progressed Birth Chart & Spiritual Growth Reading, Business Prosperity Reading, Medical Cause of Disease Reading. Online Booking and Scheduling For Readings: All astrology readings are with Steven Shroyer and recorded in a high-fidelity mp3 format. Choose to receive a reading either in person, or by phone. Read the Lunar Cosmic Journal and follow the Moon's psychic ripples with each new Moon and Full Moon. Sign up for an Astrology Workshop or classes that teaches you esoteric-astrology.com. Elizabeth Schermer's is a modern day alchemist. Learn the art of energy alchemy at the renowned Seattle Mystery School 2014. New Program start Mar 1, 2014. A website dedicated to The Sabian , Astrology Sabian Symbols, and The Sabian Esoteric Restoration Movement. The Sabian is one of the most sacred esoteric bodies of knowledge available for study today. A website revealing the hidden areas of Astrology. Esoteric (meaning hidden from the public) Astrology USA now unleashes all the secrets of Astrology. See what you're been missing. Chinese Astrology, Classical and Energy Feng Shui, Intuitive Style Feng Shui, and Energy Alchemy. The Lunar Cosmic Journal is published bi-monthly and follows the MOON cycles from an esoteric perspective. It's an Astrology Journal that provides practical insight and advice to allow you to work with the Lunar energies in a positive way. From an esoteric point of view, the MOON provides the psychic energy needed to access your intuition, your connection to planetary life-force, and the ability to nourish your soul within a changing environment. Sign up today to receive your own copy of the Journal via email. An astrology reading has two components, the astrologer and the astrology discipline. You can read Steven Shroyer's biography to learn about his thirty-plus years of astrology experience, but that's only half the story. Steven has also integrated three of the most difficult astrology disciplines to master and has combined them into a new and extremely powerful form of esoteric understanding. With this understanding he has access to both your current life and past life realms, and can clearly see what your soul's essence needs to operate consciously in this lifetime. Everyone wants a clear understanding of how their highest joy is activated. You may be asking; "What are my unique gifts, how do I access them, and why do I have them?" Questions like these are answered when you clearly understand how your Gate of Intuition functions within your life. To fully embrace life, and to live one's highest joy is to live life through the full use of your intuitive gifts. A question which needs answering is; "Where does your highest joy reside?" Rudhyarian Astrology is the multi-level astrologcial approach developed by the greatest teacher of astrology, Dane Rudhyar. After his work with Carl Jung, Alice Bailey, and H.P. Blavatsky, he formalized his ideas which are now revolutionizing metaphysics and cosmology. His new multi-level approach factors in the evolution of the planet Earth, societies, individual persons, and humanity-as-a-whole from the stand point of "Operative Wholeness," a new term he coined to introduce the idea of "The Rhythm of Wholeness."